North Korea has staged a huge military parade to mark its 70th anniversary as a nation but held back its most advanced missiles and devoted nearly half of the parade to civilian efforts to build the domestic economy. The strong emphasis on the economy underscores leader Kim Jong-un's new strategy of putting economic development front and centre. 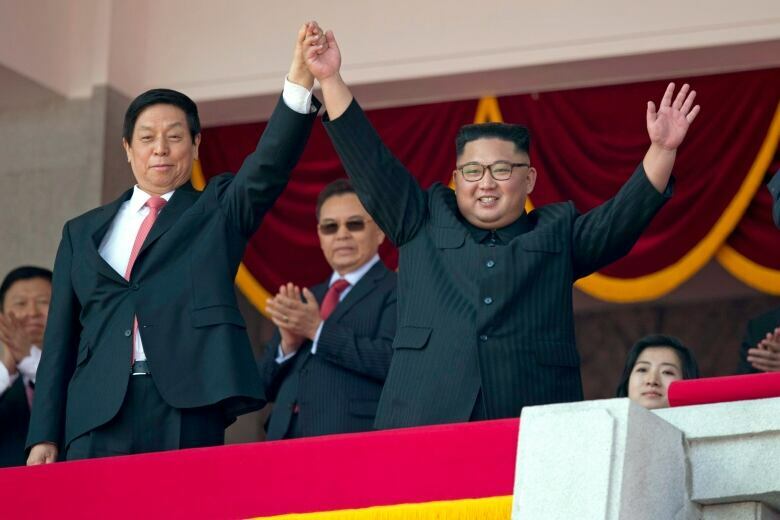 Senior statesman Kim Yong-nam, the head of North Korea's parliament, set the relatively softer tone for the event with an opening speech that emphasized the economic goals of the regime, not its nuclear might.